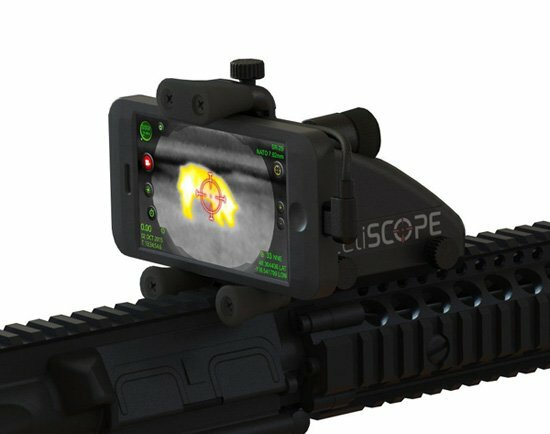 Do you know that you can convert your iPhone or Android smartphone into a day and thermal-night scope with the help of the Inteliscope Thermal Scope Bundle? Isn’t that just awesome?! The Inteliscope Thermal Scope Bundle comes with the Inteliscope PRO+, the SEEK Mount Kit, the renowned SEEK CompactXR thermal camera and the Inteliscope App, which combine forces to give you everything you need to convert your iPhone or Android phone into a very effective thermal riflescope to enhance your shooting experience. In this Inteliscope ThermalScope Bundle for iPhone & Android review, we will be taking a look at the main features of this product, the pros and cons of owning it as well as some questions customers tend to ask about the product. We hope that at the end of this review you will understand why the Inteliscope Thermal Scope Bundle for iPhone and Android is a wise option whenever you find yourself inthe market hunting for thermal scopes. 1.14.1 Q. Who are the manufactures of the device? 1.14.2 Q. I am worried about recoil damaging my expensive smartphone. How can I prevent this from happening? 1.14.3 Q. Where is the Inteliscope made? 1.14.4 Q. What do I do to either decrease or increase the zoom? 1.14.5 Q. Will my Galaxy Note work with Intliscope? 1.14.6 Q. When I take my smartphone off the Inteliscope and put it back on again, do I need to re-zero? 1.14.7 Q. Does this come with a warranty? The Inteliscope PRO+ gives you the ability to firmly mount to your rifle every smartphone you can think of, including those housed in protective cases. The PRO+, which weighs just 1.25 lbs, is made of very durable aluminum and a tactile rubber coating, which protects it from accidentally sliding on smooth surfaces and getting damaged. The SEEK CompactXR thermal camera, which is considered one of the smallest long-range thermal imaging cameras in the world, is designed specifically for your smartphone. This thermalimaging camera easily connects to your smartphone and gives you an awesome detection range of up to 1,800 feet away with its 20° field of view. The SEEK Mount Kit, which comes equipped with both Android and Apple cables, has one primary role, which is to connect the Inteliscope PRO+ to the SEEK CompactXR Thermal camera. With this bundle, you get the Inteliscope PRO+, the Apple version of the Inteliscope App which is compatible with iPhone 5, 5S, 6, 6+ and iPod Touch, the SEEK CompactXR thermal camera (Apple SEEK XR) and the SEEK Mount Kit with cables. The Inteliscope PRO+ will allow you to securely mount your iPhone, including its protective case to your firearm. The Apple SEEK XR allows you to see further and detect objects as far as 1800 feet away! The SEEK Mount Kit with the Apple cable will allow you to connect the Apple SEEK XR camera to the Inteliscope PRO+. As for the Inteliscope App, it gives you the opportunity not only to transform your iPhone into a thermal riflescope, but also allows you to do other important things such as record shots from your firearm’s point of view, save and share these videos and give you “heads-up” information, among several other important things. Together, all the features of this bundle will turn your iPhone into a very effective thermal night scope. This bundle, which is meant for Android users only, comes loaded with the Inteliscope PRO+ which securely attaches your Android phone to your firearm and the Android version of the Inteliscope App which converts your Android phone into a thermal scope and lets you enjoy such features as recording shots, zooming in and out, GPS positioning, compass, etc. This bundlealso comes with the SEEK Mount Kit with an Android cable that allows you to connect the Inteliscope PRO+ to the SEEK CompactXR long range thermal imaging camera (Android SEEK XR)which will turn your Android phone into an extended-range thermal imaging camera. Are you worried about the Inteliscope Thermal Scope Bundle recoil damaging your phone? Worry no more since it is not likely that your phone will be damaged from recoil. According to Inteliscope, over the years, they have sold Inteliscope Mounts to thousands of customers and have not received any report of recoil damaging a customer’s phone. One of the most important advantages that come with the Inteliscope is the fact that it keeps you safe all the time. How does it do this? With the Inteliscope Thermal Scope Bundle, the shooter can safely aim at targets located around obstacles without ever exposing his or her head. The rubberized tactile finish on the Inteliscope PRO+ prevents it from sliding on surfaces that are smooth. It is much more affordable than the average thermal scope on the market. It works perfectly with any smartphone you can get on the market. It is very durable thanks to its rugged construction. Despite being highly durable, it is light at the same time. It works perfectly with any Picatinny rail. It gives you the opportunity to record shots from the point of view (POV) of your firearm, save and share those videos. It works as both a day and thermal-night scope, and you can easily toggle between day and night vision with just a tap on the screen. It allows you to conveniently and safely shoot around corners without ever exposing your head. You can take the Inteliscope to the range and use it in improving your shooting skills. Despite being a very effective day and thermal-night scope, the quality of its optics and other technical features do not match that of some very powerful stand alone thermal scopes. However, customers can take solace in the fact that the Inteliscope Thermal Scope Bundle comes at a fraction of the cost of some of these powerful stand alone thermal scopes on the market. Q. Who are the manufactures of the device? A. The device is manufactured by an American company called Inteliscope LLC. Q. I am worried about recoil damaging my expensive smartphone. How can I prevent this from happening? A. You don’t need to worry about recoil hurting your smartphone. For the past four years now, thousands of customers have used this device to shoot through various kinds of smartphones on all manners of firearms such as .308s, 12-gauge shotguns, automatic ARs, etc and none of these customers has ever reported of their smartphone getting damaged from recoil. Q. Where is the Inteliscope made? Q. What do I do to either decrease or increase the zoom? A. Increasing or decreasing the zoom is very simple. All you need to do is tap the rectile on the screen and the zoom tool will instantly come up. Then you tap the plus “+” symbol to increase the zoom or the minus “-” symbol to decrease the zoom. After doing this, just tap on the “X” at the top of the screen to accept the new setting. Q. Will my Galaxy Note work with Intliscope? A. Yes. The Inteliscope PRO+ will work with all types of smartphones, including Android phones, iPhone 6 and iPhone 6+. Q. When I take my smartphone off the Inteliscope and put it back on again, do I need to re-zero? A. No. If you follow the instructions in the Inteliscope manual, you don’t need to re-zero each time you take your phone off the Inteliscope since it comes with a feature that allows you to place your phone in the exact spot that you took it from. A. All Inteliscope products come with a one year warranty against manufacturing related defects. From the review above, it is abundantly clear to see that the Inteliscope can act as a very useful equipment in the average hunter’s arsenal. The Inteliscope will turn your smartphone (regardless of what type of smartphone you have) into a brilliant targeting system that not only allows you to take accurate shots but also gives you the opportunity to record your shots and enjoy other important things, including the ability to store different firearm setups, zoom in and out, and add thermal vision, among others. For any hunter or shooter looking to save money on a good rifle scope and sight, the Inteliscope Thermal Scope Bundle for iPhone & Android is definitely worth considering.